Gather 'round external storage lovers. You've been forsaken by Google, abandoned by Samsung, and left to feel needy and irrational in the face of the totalitarian internal-storage-or-nothing regime, but the times they are a-changin'. Google's own stance in Android M seems to be shifting toward accepting all phones no matter what they are, including the imperfect little information carriers that may need an external boost in their storage every now and then. Who knows, we might even live to see a Nexus with a MicroSD slot again. Stranger things have happened. So if you're a rebellious soul, still carrying a smartphone with a hole in its side (or rear, we won't judge), and you know that no amount of storage is enough storage, you may want to head on over to this Lexar listing on Amazon. We're talkin' one hundred and twenty eight billion ones and zeros to fill with your offline movies, songs, series, photos, or other stuff that you need to have with you at all times and don't want to trust to the clouds on any sunny or rainy day. But don't let the card's dense storage fool you into thinking it's a ponderous slow thing. This one is swift and nimble, potentially serving your files up to you at speeds that can reach 95MB/s. It's also flanked by a little sidekick in the form of a USB 3.0 reader to expedite the process of transferring your files from and to a computer. Said card with its USB reader has an MSRP of $160, but my friend with the triple camels tells me it's been going for $120 most of its lifespan, and once went as low as four Jacksons and a Lincoln, but never lower. 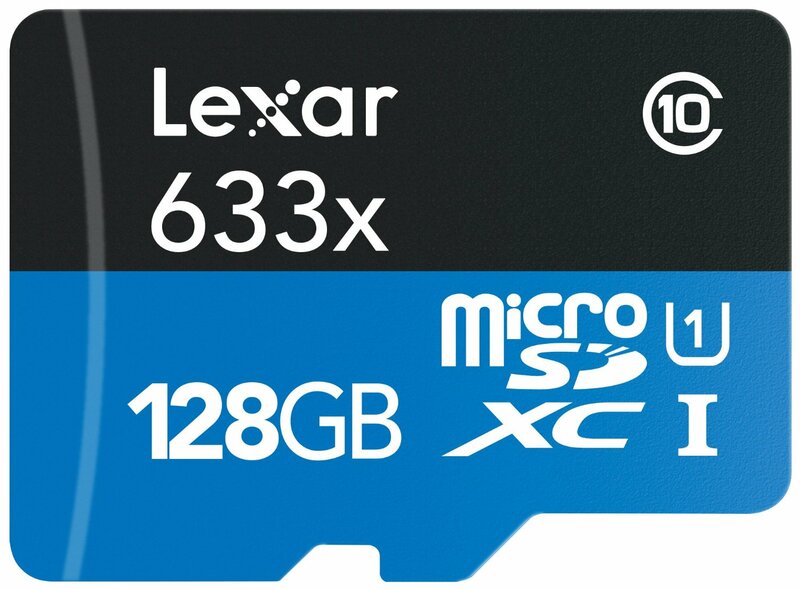 It's now $72.99, making it a little less than half the original price Lexar wanted to get out of your pocket. That puts it even below the $79.99 SanDisk 128GB MicroSDXC, which has half the potential speed and only ships with an adapter. And because this is Amazon, it will send you this little phone suppository for free. Grab'em while they last (in stock and at that price).